Map has created a wide network of partners and customers in Greece and abroad within the completion of projects and in the pursuit of innovative methodologies and solutions in acquisition, processing, production and management of mapping data. Valuable contributors in almost all the activities of are the companies: METRISYS Ltd. (commercial company of Geoinformatics located in Bulgaria and Kenya) and Terra Ltd. (development of GIS applications), XYLOTECHNOLOGIA S.A. (forest maps creation and forest use characterizations), Geomatics S.A. (aerial photography with digital, metric cameras – ), Aerodata (airborne Lidar sensors and aerial photography with large format cameras) and Terra Spatium S.A. (space technology applications and solutions based on satellite products). In addition, Map in collaboration with METRISYS founded Map International in Sofia, Bulgaria in August 2015. The main objective of the companies is the creation of a center for the production and completion of projects from all over the world. 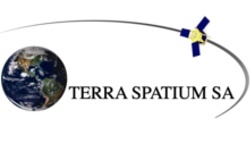 Furthermore, Map is a member of the Hellenic Association of Space Industry (HASI), the Hellenic Photogrammetry Company and the Corallia Si-Cluster. MaP Ltd. is a Geoinformation Services company and its main objective is the production and provision of geospatial data based on satellite data acquisition and products. Core competence of the company is the knowhow, the flexibility and the innovation that support quality and on-time delivery of every undertaken project.